The dramatization of a novel is not so easy as it looks. "She" was a very successful book, but it does not even make a fairly successful play. Of course the fact that the dramatization was made by an illiterate man must be considered, but even more offensive than the style of writing is the strained and undramatic tone of the piece. A play that is spread out over several thousand years and several continents is apt to lack unity. A heroine who is several thousand years old and who was the wife of Pericles of Athens is apt to lack human interest. One can read such things in a novel and, if the style is good and the tale well told, not mind them or notice the inconsistencies to any painful degree, but when people see absurdities represented in flesh and blood before their eyes it is another thing. The chief trouble with "She" as a play is that it lacks human feeling. The heroine is not a woman, her passions are not those of a woman. There is no one character to whom one's heart can go out in either love or pity. The only dramatized novel which has been played successfully is Dumas' "Dame aux Camelias" , and that the author himself dramatized. Mr. D. Blakely , to whom Sousa is indebted for his great band, calls himself a "musical crank." His lifelong occupation has been that of a journalist. He was for years the editor of the Chicago Post, and later of the Minneapolis Tribune. He was, during war times, the secretary of state and superintendent of public instruction of Minnesota, and he is now the owner of the Blakely Printing company. Mr. Blakely is as devoted to music, however, as he is to business, and in his travels abroad he conceived the notion of securing for America a band equal in all respects to that of the celebrated band of the Garde republicaine of Paris. Knowing the musical merits of the brilliant Sousa, then the leader of the United States Marine band, he induced him to resign his government connection and organize the new candidate for public faver. Carte blanche was given him to secure the best musicians the world afforded and months were occupied by Sousa in selecting his men. The result is current history. Sousa's band is admitted to be without a rival, and its popularity is attested by the fact that it has engagements for an uninterrupted season of forty one weeks of daily concerts, beginning February 24 and ending December 8. The band has all the great engagements formerly filled by Gilmore , including those of Manhattan beach, of the May and June concerts at the Madison Square garden , of the St. Louis exposition, etc., etc. Mr. Blakely made no mistake in his selection of Sousa as the leader of his great band. He is a thoroughly scientific musician, by all odds the most popular band composer of his time, and he is a born executive, and a consequent leader par excellence. Withal, unless Thomas in his younger days be the one exception, he is the handsomest and most graceful leader on the American stage, and he is a thoroughly genial and accomplished gentleman, and an uncommonly wide awake, intelligent man. His popularity, therefore, is easily accounted for, and the explanation is easy why his band is the only one which can maintain itself as a purely concert organization, entirely independent of regmental or parade connections. Sousa's music, and particularly his marches, is more universally played, both by bands and in the parlor, and more extensively sold, than that of any other composer, and with good reason. It all contains that charming individuality peculiar to the man and irresistible to music and dance lovers. His compositions are sold by the thousands, and are a constant source of profit to him. He has written numberless marches, the most notable of which are "Washington Post," "High School Cadets," "Beau Ideal," "Belle of Chicago," "Manhattan Beach" and "Liberty Bell," the latter two being recent productions of his pen: innumerable waltzes, operas, songs and descriptive pieces, and he is now writing an opera, "El Capitan," for De Wolf Hopper , to be finished before August 1, and a descriptive idyl from Longfellow's "Tales of a Wayside Inn." The versatile conductor is an indefatigable worker, and why shouldn't he be, when his compositions are so eagerly sought after by the public? The most interesting personality on the American stage is the brilliant and eccentric actor who will appear in his novel impersonation of Beau Brummell at the Lansing theatre on Monday night. Had Richard Mansfield never appeared as Prince Karl , or in other similarly juvenile diversions whose artistic merit cannot atone for their moral superficiality, the American public would have accepted him long ago with one voice as the ablest and most illustrious American exponent of the drama in its serious form. Without doubt he is entitled to this distinction — this crown and laurel wreath of conquest. Whether the date of his coronation amid the universal applause of admirers of the higher histrionic art is near at hand or far off remains to be seen, depends chiefly upon himself. His energy, hopefulness, determination and vigorous fancy know no limits. The scope of his general theatrical ambition is broad enough to include every type of histrionism and all varieties of drama. He is, perhaps, the most powerful force in the world of American theatricals today, and he uses his influence for purity and dignity. That he is one of the very small company of great producers of plays is beyond cavil. His talents and toil have won for him a position of unique and lucrative supremacy. Mr. Mansfield is full of surprises. In a New York interview the other day he poured forth a torrent of impetuous and impatient expectation. "All I need is a theatre. I appeal to the world, to everybody, to anybody, to assist me in erecting it. It must be in New York. I need it here. I may as well now say, emphatically, that it is my burning purpose to have a theatre of my own in this city. I shall have it. In it I shall surround myself with the finest company money can band together. I shall present plays of every kind with all the care, attention and skill an earnest man can bring to a task. I feel sure the moment I have a theatre of my own my difficulties will disappear from my path. I am at the best period of my life. If I am a bad actor I am willing to be told so and depart for other lands. The time has come now, however, when, if I am worthy, I must have my reward." 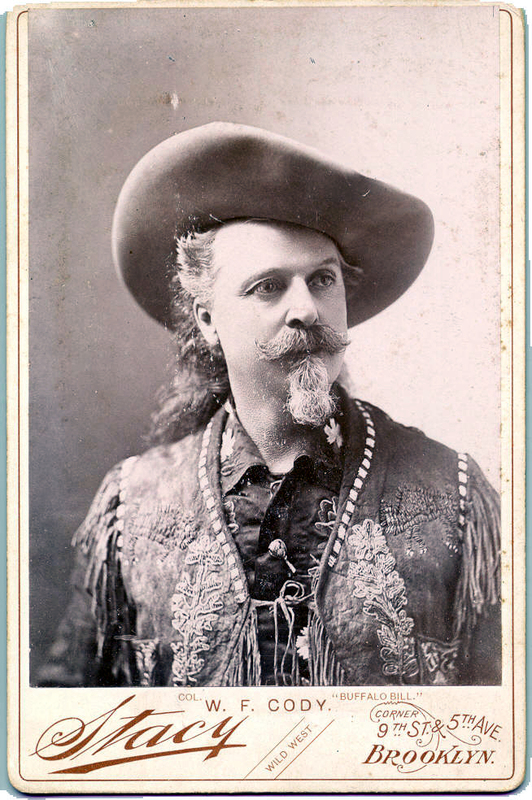 Katherine Clemmons and William F. Cody, "Buffalo Bill," have parted is both senses of the word. Miss Clemmons has a very pitiful little tale of woe about Mr. Cody losing all personal interest in her and Katherine says she won't have a manager who does not give her personal attention. She says Mr. Cody shamefully neglected her during Fifth avenue engagement and did nothing whatever for her beyond paying $40,000 worth of bills. Miss Clemmons feels very badly, but she should remember that Colonel Cody's service has been both long and faithful. He sent her to the Boston school of oratory years ago when she was unknown to fame. He backed her when she was Viola Clemmons and patiently footed her enormous expenses and was financially responsible for her many failures. He has stood by her as Katherine Clemmons and has never drawn his purse strings. This season he backed her when she failed in the Lady of Venice , and he backed her when she failed in Mrs. Dascot . It is now an affair of some twelve years' standing, and has lasted longer than most of them. Colonel Cody has hired first class companies, leased big theatres, bribed the critics and lavished annual fortunes upon Miss Clemmons, yet her failures have been as many as there were seasons, sometimes indeed, she has managed to fail in two plays in one season, as she has this year. It is no wonder that even Colonel Cody's "personal interest" is beginning to wane. If Miss Clemmons' fancy were for purchasing diamonds or buying up old castles or titles any other inexpensive fad, Mr. Cody would gladly gratify her, but the stage is altogether too expensive as an amusement. The members of the Light Infantry company unhesitatingly give a large share of the credit for the success of minstrel entertainment on Tuesday evening to Mr. Haydn Mayer , who not only acted as interlocutor and soloist, but was the principal manager of the affair through the weeks of preparation and rehearsal. Of course the great dream of every playwright is to introduce an absolutely new situation on the stage. It is for this that race horses, police wagon, fire engines and all such abominations are introduced behind the footlights. Mr. John Stevenson in his new play, "Nobody," has achieved a hitherto unheard of situation, but it is so colossal that he is likely to have brain fever from the worry of it. If his novelty were only an earthquake or a cyclone or a storm at sea it would be easy to manage, but Mr. Stevenson's ambition demands that a soubrette shall milk a real cow on the stage. The situation is, of course, idyllic, but the distracted playwright cannot find in all America a soubrette who can milk a cow — nor a cow who will be milked by a soubrette. It is too bad that Dela Fox has decided to star next year. Not but what she will be delightful enough as a star, but she will surely lose by losing her striking contrast with Hopper. It is Hopper that makes Miss Fox so funny and Miss Fox that makes Hopper so funny. Together they are very great, separately they will be only half as great. If ever two comedians were in perfect sympathy artificially and were born to play together they are De Wolf Hopper and Dela Fox. It is unfortunate that they can't keep on making the world laugh together, the Irving and Terry of comedy. An actor once said: "The very poor professional performance is better than the very best amateur performance." While this is not exactly true it must be confessed that to one who has neither friends nor acquaintances among the actors an amateur performance is usually a very tame affair. It is rude to make any very harsh criticism upon an amateur, and generally it is bad taste to lavish excessive praise. If an amateur were criticised by the same standards as a professional there would indeed be wailing and gnashing of teeth in town the next morning. An amateur performance should always be handled gently and kindly, like a church concert or sociable, but it cannot expect to be treated very seriously. As a rule the actors in such an entertainment are either very conservative people of the intellectual cult, or very select society blossoms. They step daintily about the dressing room as though they feared they might in some way become contaminated by touching things that had been handled by professional hands, and saunter on the stage as though they were doing the theatre a great honor and it was a very great condecention for them to be there at all. The fact is it is a very great presumption. The gilded youths of society have banished actors and actresses from their sacred circle. They regard them as different and inferior beings; they stare at them on the streets and refuse to dine at the same table with them at hotels. Then when this same gilded youth attempts to step in and do off hand what has cost great men and women years of labor and pain and the renunciation of social recognition, it can scarcely expect to be taken seriously. Lincoln has not produced a star actress as yet, but she has every right to be proud of the promising triple bar artist, Mr. Joseph Wittman . Although Mr. Wittman is still young and has never been able to devote his time entirely to the work, he already excells the triple bar men with Primrose & West and other minstrel shows on the road. In addition to the necessary strength and skill, he has remarkable ease and grace in movement and a cool head. High class vaudeville work is beginning to win high recognition in the United States, and if Mr. Wittman intends to pursue bar work as a profession he will undoubtedly make one of the finest artists in the country. De Wolf Hopper had a big birthday in Kansas City. Richard Mansfield offered to star Henry Miller next season. Adelade Richtie , Grace Filkins and Mable Stevenson will play in the Passing Show . Gus Bothner announces that Hoyt's "A Bunch of Keys" will be revived next season on an elaborate scale under his management. Harry Phillip , Kate Castleton's husband, has been engaged to manage the Craigen-Paulding company for the rest of this season. The essays and sketches contributed by Mme. Modjeska to various magazines will shortly be published in book form by Rand McNally & Co. The engagement of Joseph Hart of Hallen and Hart and Carrie de Mar of their company is announced. The wedding will take place in June. It is announced that the engagement of marriage between Howard Gould and Odette Tyler has been broken off, owing to opposition by members of his family. Paul Kester has written a new play for Alexander Salvini , called "The Last of the Moors," which Mr. Salvini will produce next season. Eleanor Moretti, the leading woman of Salvini's company, is ill. The Passing Show which will be produced in May at the Casino in New York will be a burlesque on all the successful plays of the season, among them "Sowing the Wind," "Charley's Aunt," and "The Butterflies." Marie Tempest intends to try to fill the place made vacant by the late Rosina Vokes , and it is said that A. W. Pinero and W. S. Gilbert are each writing a play for her, and that her repertory will be made up of almost entirely new material. Louie Massen writes the Mirror that he will manage his wife, Marie Burroughs , next year and also be one of her leading support. Marie writes to the Chicago Herald that he won't manage her at all, but that she has several other managers on the string. Mable Eaton, the Omaha actress, closed her first season in her native city on March 31. Her season is said to have been successful in every way. Next year she will appear in a play of a foreign author. She will go abroad in August to procure costumes and also see her playwright. Richard Mansfield has bought in the name of his wife, Beatrice Cameron , a magnificent residence in New York. The entrance hall is furnished in mahogany and the parlors will be decorated in white and gold. The house is four stories high. Mr. Mansfield's budoir will be especially elegant. The purchase price was $29,000. Mrs. Cora Urquhart Potter and Kyrle Bellew are about to return from the Orient, where they have been on a professional tour covering nearly a year. Mrs. Potter will bring home a new historical drama entitled "Charlotte Corday," in which Mr. Bellew will play the role of Marat . She confidently expects that English speaking audiences will like the play, all of which remains to be seen. She: She: A History of Adventure (1887), by H. Rider Haggard (1856-1925), is a fantasy adventure novel set in Africa, where Ayesha ("She who must be obeyed") is the white queen of an African tribe in a mysterious, almost inaccessible land. She had fallen in love with an Egytian priest, Kallikrates, and killed him when he refused to leave his pregnant lover, Amenatas. When Kallikrates' descendant, Leo Vincey, finds Ayesha after many adventures, they fall in love; Ayesha, wanting to share the secret of her immortality with Leo, bathes in the Flame of Life, and is killed. Haggard wrote a sequel, Ayesha: The Return of She (1905) , and two prequels, Wisdom's Daughter (1923) and She and Allan (1921). This popular novel was made into a film many times, including an 1899 version by film pioneer George Mèliés, and versions in the U.S. and Europe in 1908, 1911, 1916, 1917, 1925, 1935 (with Randolph Scott), 1965, and 2001.
play: Cather reviewed, unfavorably, a dramatization by Barbour of H. Rider Haggard's novel, She (1885) on April 20, 1894.
wife: The name of Pericles' wife is unknown; she was presumably an aristocratic Athenian, like Pericles himself. He divorced her after ten years of marriage. Pericles of Athens: Pericles (490-429 BC) was the leader of Athens during the time of its greatest military, commercial, and artistic importance. The story of his life is told most notably by Thucydides and Plutarch. He was born into an aristocratic Athenian family; his association with the philosopher Anaxagoras is said to have given him the calm and self-control with which he met all crises. He was responsible for the rebuilding of the Acropolis and the construction of the Parthenon, and was a patron of dramatists and artist such as the sculptor Phidias. Some years after Pericles divorced his wife, he took the brilliant courtesan Aspasia of Miletus as his mistress; their son, Pericles, was later legitimated. Dumas: Alexandre Dumas the younger (1824-1895) was the son of a noted writer, Alexandre Dumas (1802-1870), author of The Count of Monte Cristo and The Three Musketeers, and a dressmaker, Marie-Catherine Labay. In 1831 the elder Dumas recognized him as his son and took the boy from his mother and placed him in schools. The younger Dumas went to live with his father in 1844, where he met Marie Duplessis, a young courtesan who died of tuberculosis in 1847, inspiring Dumas' most famous novel, La Dame aux camellias (1848). He wrote prolifically; many of his novels and plays depict the problems of fallen women and unwed mothers. His A Prodigal Father (1859) is based on his father; The Clemenceau Case (1867) is thought to be somewhat autobiographical. Dumas was admitted to the French Academy in 1874 and awarded the Legion of Honor in 1894. "Dame aux Camelis: The English play Camille is based on the play La Dame aux camélias (1852), based on the novel (1848) by Alexandre Dumas the younger (1824-1895). In the play, Armand Duval, a poor young man of a good family, falls in love with a famous courtesan, Camille (named Marguerite Gautier in the original). Skeptical of his love at first, she comes to return it and the two retire to an idyllic life in the country. However, Armand's father comes to her and begs her to set Armand free for the sake of his reputation and for the marriage chances of Armand's young sister. Camille pretends to be tired of Armand and returns to Paris and her old life. She is, however, dying of tuberculosis, and the two are reunited before her death. The role of Camille was also a favorite of Sarah Bernhardt and many other tragic actresses. Mr. D. Blakely: The career of David Blakely (1834-1896) included that of president of the Minneapolis Philharmonic as well as that of newspaper owner, editor, and printer. By the 1880s he also headed one of the most successful concert management companies in the country, arranging tours for band and orchestra leaders such as Patrick S. Gilmore and Theodore Thomas. When the U. S. Marine Band, led by John Phillip Sousa, ventured on its first cross-country tours in 1891 and 1892, Blakely was the manager. He then persuaded Sousa, already popular as composer and conductor, to resign and form an elite civilian band. Blakely died of a heart attack in 1896; his wife sought to take over the management of Sousa's band and was able to claim co-ownership of all the music Sousa had composed under Blakely's management. Sousa: John Philip Sousa (1854-1932), known as the "March King," was the son of a trombonist in the U.S. Marine Band, and began studying the violin and other bank instruments as a boy. His father enlisted him as an apprentice in the Marine Band when he was thirteen. After a few years as a civilian conductor and composer, he was invited to return as the Marine Band's leader in 1880. He soon made the band's reputation both in Washington, D.C. and throughout the country, as well as his own reputation as a composer of marches and other music. The civilian band he formed in 1892 was immensely popular, and toured Europe between 1900 and 1905 and the world in 1910-11. Sousa is most famous for his marches: his "Semper Fidelis" (1888) became the official march of the U.S. Marines, and his "Stars and Stripes Forever" (1896) became the official march of the United States. However, his influence extended beyond the military: the "Washington Post March" (1889) helped popularize the new dance called the two-step, and he also composed a number of popular operettas, of which El Capitan (1895) is the best known. his great band: John Philip Sousa's civilian band, formed in 1892, was composed of the best musicians in the country, selected by auditions from those attracted by the reputation Sousa had made with the U. S. Marine Band. The original name, "Sousa's New Marine Band," was opposed by the government, and it became known simply as "Sousa's Band." Chicago Post: The Chicago Evening Post began March 1, 1886 and lasted until the onset of the Depression (c. 1932). Its most famous editor was Finley Peter Dunne, who wrote a column of satiric comment under the persona of "Mr. Dooley," an Irish immigrant and saloon-keeper. Minneapolis Tribune: The Minneapolis Tribune was founded in 1867, when Minneapolis was a city of about 7,000 people. It was bought in 1941 by the Minneapolis Star Journal, and continued as the name of the morning and Sunday papers until 1982.
celebrated band of the Garde republicaine of Paris: Trumpet-Major Jean Paulus headed La Garde de Paris, which was enlarged to a full band in 1854 under the name of La Musique de la Garde de Paris; the name was changed to La Musique de La Garde Republicaine in 1871. In 1889 a visiting American bandmaster declared that the group was almost perfect; it has been one of the best bands in France for more than a century. United States Marine band: The United States Marine Band was established by Congress in 1798, and began its mission of performing at the White House in 1801 for president John Adams; Thomas Jefferson asked it to play at his inauguration that same year; the band has since become officially the "President's Own." The tradition of a fall concert tour began in 1891 with the seventeenth director, John Philip Sousa (1854-1932). Gilmore: Patrick S. Gilmore (1829-1892) was born in Ireland and emigrated to the U. S. in 1849, making a name for himself as a solo cornetist and, with the founding of his band in 1857, as a band leader and composer. His best-known works now are the Civil War songs "When Johnny Comes Marching Home," "We Are Coming, Father Abraham," and the parlor song, "Seeing Nellie Home." The most eminent band leader of his day, he was the musical director for such events as the July 4th Centennial in Philadelphia in 1876, the dedication of the Statue of Liberty in 1886, and the St. Louis Exposition. He toured throughout the U. S. and visited Europe in 1878. His band made recordings for Edison's new phonograph in 1891. Manhattan beach: The Manhattan Beach amusement park on Long Island opened in 1879. Railroad man and developer Austin Corbin (d. 1896) had built a lavish 700 foot long resort hotel, the Manhattan Beach Hotel, on the oceanfront on the east end of Coney Island; it opened in 1877, and was torn down in 1907. Other resorts named Manhattan Beach from Michigan to Colorado to California attest to its fame in the 1880s and 1890s. May and June concerts at Madison Square garden: Patrick Gilmore took over P. T. Barnum's Hippodrome in 1875 renaming it Gilmore's Concert Garden and installing flowers, trees, and waterfalls for summer promenade concerts. It became the first Madison Square Garden when William Vanderbilt took control of the property. St. Louis exposition: The St. Louis Exposition and Music Hall Association erected a large art gallery and concert hall covering a city block between 13th and 14th streets, and Olive and Locust Streets. The Exposition building, as it was known, opened in 1885. It was torn down when the St. Louis Central library was built on the site in 1911. Thomas: Theodore Thomas (1835-1905) was born in Germany and showed early talent on the violin. His family emigrated to the U.S. in 1845, and young Thomas was soon playing in the orchestras of several theaters, accompanying visiting singers such as Jenny Lind. When he was fifteen he set off on a very solo recital tour of the U.S.: he would ride into a town, put up flyers announcing his performance, sell tickets at the door, and then perform. When he returned to New York he studied conducting and was invited to play with the New York Philharmonic Orchestra. He founded the Theodore Thomas Orchestra in 1862, touring with it until financial difficulties forced him to disband it in 1888. The following year a Chicago businessman invited him to lead a new permanent orchestra in Chicago: the first concerts were held in October 1891 in the Auditorium Theatre. Thomas's orchestra performed the American premieres of works of many of the foremost European composers, such as Dvorak, Grieg, Smetana, Massenet, and Richard Strauss.Theodore Thomas appears in several of Cather's stories, most notably in The Song of the Lark (1915), where Thea Kronborg's piano teacher consults Thomas about her future; the unnamed orchestra whose playing of Dvorak's New World symphony so moves Thea Kromborg is almost certainly his. In "The Diamond Mine" singer Cressida Garnet keeps her engagement with Thomas's orchestra the day after she discovers her husband's infidelity. "Washington Post,": The "Washington Post" (1889) is one of the most popular of John Philip Sousa's marches. "High School Cadets,": One of John Philip Sousa's less-famous marches, the "High School Cadets" march (1890) is still played and recorded. "Beau Ideal,": A march (1893) by John Philip Sousa. "Belle of Chicago,": A march (1892) by John Philip Sousa. "Manhattan Beach": This march by John Philip Sousa (1893) presumably commemorates the appearance of his band at the Manhattan Beach hotel on Long Island. "Liberty Bell,": A march (1893) by John Philip Sousa. El Capitan: John Philip Sousa's most successful operetta, El Capitan, with libretto by Charles Klein and Tom Frost, finished in 1895, opened at the Broadway Theatre in New York on April 20, 1896, running for 112 performances. The plot concerns the Spanish viceroy of Peru, who disguises himself as the rebel leader, El Capitan. De Wolf Hopper starred as the viceroy; Edna Wallace-Hopper played the daughter of the former viceroy and rebel leader. 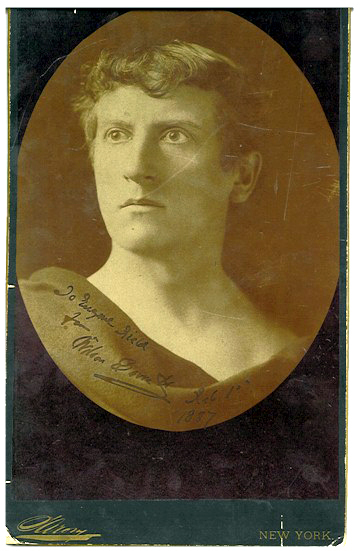 DeWolf Hopper: William DeWolf Hopper (1858-1935) made his stage debut in 1878. At 6 feet 2 inches he was considered too tall for serious acting roles, and his big bass singing voice drew him to musical theater; he starred in The Black Hussar in 1885, and had his first pairing with Della Fox in Castles in the Air in 1890, followed by Wang in 1891 and Panjandrum in 1893; he starred in many more Broadway shows. One of his most popular acts was his recitation of Thayer's poem, "Casey at the Bat," which he helped to make popular; he recited it at curtain calls, recorded it in 1906, and performed it in a silent movie in 1916, and on the radio. Hopper married six times, most notably to actress Elda Furry, best known as the feared gossip columnist Hedda Hopper. His son by her, William DeWolf Hopper, Jr., played Paul Drake on the 1950s Perry Mason televion series. Longfellow's: Henry Wadsworth Longfellow (1807-1882) was born in Portland, Maine. A precocious child, he graduated from Bowdoin College (where Nathaniel Hawthorne was a classmate) at the age of nineteen, and was offered the professorship of modern languages. He traveled in Europe to prepare, becoming influenced by German romanticism and by Germanic and Nordic cultures. He became professor of modern languages at Harvard in 1834, and published his first volume of poetry, Voices of the Night in 1839; the success of Evangeline (1847) led him to resign from Harvard in 1854 to devote himself to his writing. Hiawatha (1855) and The Courtship of Miles Standish (1858; the John Alden and Priscilla Mullins of the poem were two of Longfellow's ancestors) helped establish the use of American themes in American literature. Longfellow's poems were immensely popular in the U.S. and England. Tales of a Wayside Inn: Henry Wadsworth Longfellow's Tales of a Wayside Inn (1863) features a group of characters gathered at an old New England inn (based on Howe's Tavern in Sudbury, Massachusetts). A prelude introduces the travelers and the landlord, each of whom tells a story in verse, with connecting interludes. The first tale, the landlord's, is "Paul Revere's Ride." 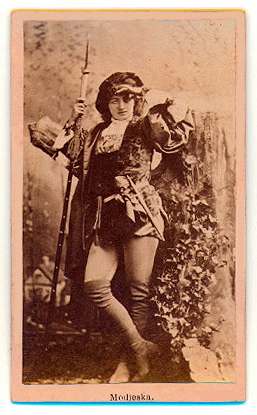 Prince Karl: Archibald C. Gunter's Prince Karl (1886), a four act farce-comedy was one of Richard Mansfield's early successes as a romantic lead. In the play, the impoverished Prince Karl becomes engaged to a wealthy Boston widow, but he recognizes her niece as a girl with whom he had fallen in love before. To escape the marriage, he pretends to be insane and jumps out the window into the Rhine river, faking his drowning. He then joins the widow's entourage as a courier, finds that the niece had really loved Prince Karl after all, and the two are united. Katherine Clemmons: Viola Katherine Clemmons (d. 1930) was a member of Buffalo Bill Cody's circus troupe. She married Howard Gould (1871-1959), third son of robber baron Jay Gould, in 1898. Amid allegations of infidelity and bigamy, they were divorced in 1909; she complained at the trial that it was impossible to dress properly on $40,000 a year. Boston school of oratory: The Boston School of Oratory was founded by Moses True Brown, who was one of the leading exponents of Delsarte's methods of voice delivery and elocution. It was purchased by and merged with Emerson College of Oratory in 1894, now Emerson College.The young Hamlin Garland became a pupil at Brown's school, then an instructor, launching a successful career as a lecturer and writer. Viola Clemmons: Viola Katherine Clemmons (d. 1930) was a member of Buffalo Bill Cody's circus troupe. She married Howard Gould (1871-1959), third son of robber baron Jay Gould, in 1898. Amid allegations of infidelity and bigamy, they were divorced in 1909; she complained at the trial that it was impossible to dress properly on $40,000 a year. The Lady of Venice: Richard Zouch Troughton's Nina Sforza: A Tragedy in Five Acts (1841), an historical drama in blank verse, was revived and renamed The Lady of Venice in 1894. The play concerns love, jealousy, poison, and the machinations of an Iago-like friend; the reviewer in Punch, at the London opening, said "Though the tragedy possesses little originality, it will, from its melo-dramatic and exciting character, be most likely a very successful one" (6 November 1841). Mrs. Dascot: Lloyd Stephens Bryce (1851-1917), a former congressman and editor of the North American Review, published a book, Mrs. Dascot, about 1894. Lincoln Light infantry: One of the two regiments of the Nebraska National Guard; it was commanded by Col. J. P. Bratt from 1890 to 1898. Light infantry are less heavily armed and equipped than regular infantry, making them more mobile for such duties as skirmishing. The term came to apply to elite units. minstrel entertainment: Minstrel shows usually consisted of three parts, beginning with the walkaround, a comedy routine with jokes between the interlocutor in the center and the end men; the second part, the "olio" was a variety show of songs, instrumental music (usually violin, banjo, tambourines and other rhythm instruments, such as the bones), dancing, and jokes, ending with a comic skit; the last part was the finale, usually music and dancing. Minstrel shows as such began with the Virginia Minstrels (white men in blackface) who played in New York in 1843. Traditionally the black makeup was from burnt cork. Minstrel troupes with African Americans became more common after the Civil War; though much of the humor was directed against the speech, customs, and character of African Americans, the minstrel shows provided a stage for black performers and an outlet for black composers. Mr. Haydn Mayer: Henry, Charles, and Simon Mayer owned the Mayer Bros. clothing store at 112 N. 10th Street in Lincoln. Haydn Mayer was probably related to them, but his name does not occur in the Lincoln city directories for 1892-97.
interlocutor: In a minstrel show, the interlocutor is the man in the middle of the line who questions the end men, eliciting their jokes. Mr. John Stevenson: The New York Times drama index does not record a playwright of this name or its variant, Stephenson. "Nobody,": Neither the New York Times drama index nor WorldCat record a play of this name. Triple bar artist, Mr. Joseph Wittman: Joseph H. Wittman (born about 1874), son of German-born Henry Wittman (1852-1912) was a saddler with H. Wittman and Co., a saddlery and leather-goods maker. A second son, Otto (born about 1876), after studying at the Lincoln Business College, became bookkeeper for the family firm; the youngest, Lincoln O. Wittman, is first listed in the 1895 city directory as a student. The family lived at 1001 L St.
Primrose & West: George H. Primrose (1853-1919)-said to be the originator of soft shoe dancing—and William H. West were a song-and-dance team with J. H. Haverly's minstrels; in 1877 they left Haverly to form their own troupe with various partners (Barlow, Wilson, Primrose and West in the early 1880s, Thatcher, Primrose and West in the later 1880s), and then as Primrose and West's Modern Minstrels c. 1889. In the early 1880s they were influenced by Sam Hague's British Minstrels, and began to divest themselves of the traditional plantation and blackface material; they became known as the "Millionaires of Minstrelsy." Popular countertenor Richard Jose was with Primrose and West for a time in the early 1890s. Henry Miller: Henry Miller (1859-1926) was born in London but grew up in Toronto, Canada. Inspired by reading about Henry Irving, he studied elocution and made his stage debut in a local theater at eighteen. In 1878 he joined Modjeska's company, playing minor parts. In 1882 he became a member of Augustin Daly's company in New York, then joined A.M. Palmer's company before becoming the leading juvenile actor and later a leading man with the Frohmans' Empire Theatre Company. He first appeared as a star in 1896, and became a manager in the early years of the twentieth century, producing and starring in many roles. He built his own theater, Henry Miller's Theatre, seating over 900 people, in 1918, at 6th Avenue and Broadway; it was managed by his son, Gilbert, after his death, and was not converted to a movie theater until 1969.Miller was named, with other theater luminaries, in an O. Henry short story about stage life, "Strictly Business." Henry Miller as Mr. Brabizon in "Sowing the Wind"
Adelade Richtie: Adele Ritchie (1874-1930) was a singing actress who made her start on Broadway with Marie Tempest's company in 1893. She was featured in The Passing Show in 1894, but one of her first starring roles was in the burlesque, Thrilby in 1895: the New York Times reviewer said of her, "As Little Billie, Adele Richtie is Adele Ritchie, and that is enough for her many admirers" (4 June 1895). 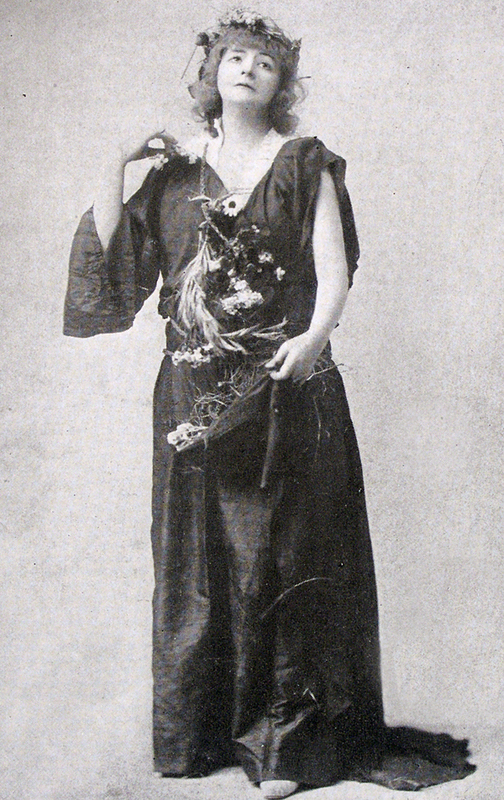 Although Odell commented in his Annals of the New York Stage that Ritchie seemed unable to keep a role for a long time, her Broadway career lasted until 1912, and included a role in the spectacularly successful Florodora (1905). Grace Filkins: Grace Filkins played small roles with Modjeska's company in the late 1880s, and was briefly with Sol Smith Russell. She played in several realistic dramas in 1890, then returned to Broadway in 1893, playing in farces and musical shows, including The Passing Show, in 1894; the New York Times reviewer said of her in that show that she ought not to be allowed to sing (13 May 1894). She had a long and apparently varied career on Broadway through 1913, appearing in both I Pagliacci and The School for Scandal in 1905. 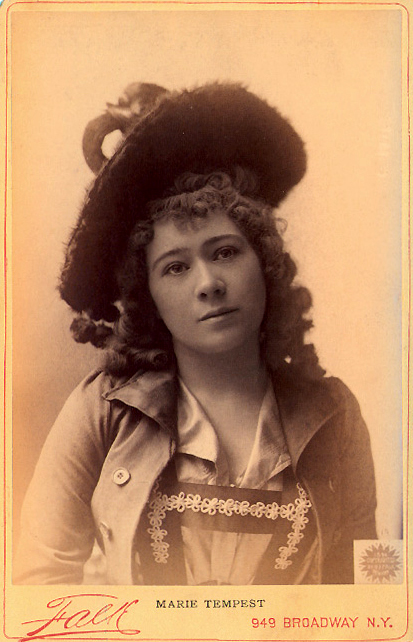 Mable Stevenson: Mabel Stephenson had a brief Broadway career, appearing in Barbara in 1890 (Grace Filkins was also in the cast), and in The Passing Show in 1894. The New York Times reviewer praised her "demure countenance and wonderful mimetic ability" (3 June 1894). Her specialty was apparently an ability to mimic bird-song; she made a hit with this in Barbara, and Oliver Wendell Holmes mentions her performing bird-songs at a charity fete in London (Over the Tea-cups, 1891). 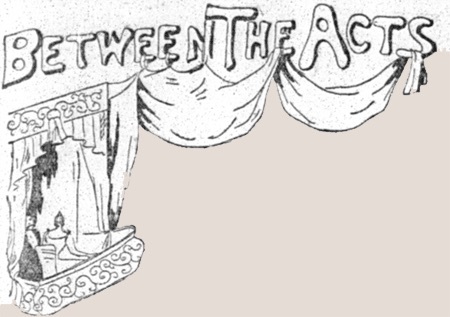 Passing Show: The Passing Show, a "topical extravaganza" by Sydney Rosenfeld, opened at the Casino Theatre in New York on May 12, 1894. It was a burlesque of theatrical productions of the past season. Paul Arthur appeared as Henry Miller in Sowing the Wind, and Adele Ritchie appeared as the singer, Rosamund, in the same play. Grace Filkins burlesqued Rose Coghlan, Mrs. Kendall, Rosina Vokes, and Ada Rehan. 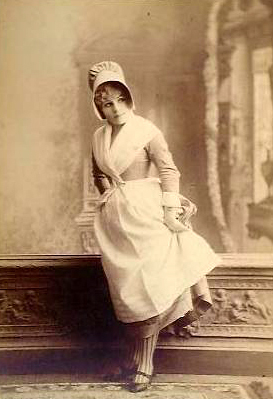 Mabel Stephenson was the Hannele in a parody of the Kilyani pictures that the Times called "easily the smartest thing in the entire entertainment" (13 May 1894). Cather used the title "The Passing Show" for many of her later columns. The title was also used for an annual series of Broadway revues from 1912 to 1919. Gus Bothner: Gus Bothner was a theatrical manager; one of his successes had been the 1892 hit, The Voodoo. Harry Phillip: Harry Phillip was Kate Castleton's husband and manager. the Craigen-Paulding company: After playing supporting roles in other companies, Maida Craigen and Frederick Paulding formed their own company c. 1893. Book form: WorldCat does not record any book of sketches or essays by Helena Modjeska. Her memoirs were published by the Macmillan Company in 1910, a year after her death. Rand McNally & Co.: William H. Rand founded a printing company in Chicago in 1856; in 1864 Andrew McNally became a partner in the firm, which printed the Chicago Tribune. The company is best known now for its maps, a department established in 1872, but it has long published general interest books as well. Joseph Hart: Comedian, actor, and songwriter Joseph Hart (c. 1861-1921) was born in Boston. He teamed up with comedian Frederick Hallen in a series of popular musical comedy shows, such as The Idea (1893), writing some of the songs by himself and some in collaboration with others. After he married singer-actress Carrie DeMar, the two formed a new team in vaudeville and musical comedy. Hart recorded a song in 1895 for Berliner Gramophone, and appeared in ten early silent shorts between 1902 and 1904, nine of them with versions of the popular Foxy Grandpa sketches he had done on stage. Hart and DeMar retired about 1918; Hart died of heart problems in 1921. Carrie de Mar: Carrie DeMar (1875-1963) was born in Pennsylvania, and made her start on stage in Chicago. She joined the Hallen and Hart company in 1891 and soon began taking leading roles in their musicals. According to Harold Sandler's sketch of her life for the Internet Movie Database, she married Joseph Hart on 1 August 1892. About 1895, Hallen and Hart disbanded, and Hart and DeMar became a team in vaudeville and in musical comedies. She was featured on song sheet covers in the early years of the twentieth century, and appeared in 1902 in three of the "Foxy Grandpa" short films based on some of their comedy sketches. Hart and DeMar retired about 1918. She lived in New York for many years following her husband's death in 1921; she joined a Catholic order in 1950. Engagement of marriage between: Howard Gould (1871-1959), son of Jay Gould, distressed his family by preferring actresses to women of their own class. Although the engagement to actress Odette Tyler was broken off, Gould eventually married, and divorced, another actress, Katherine Clemmons. Howard Gould: Howard Gould (1871-1959), third son of robber baron Jay Gould, inherited the income from a trust fund valued at about $12,500,000 when his father died in 1892. 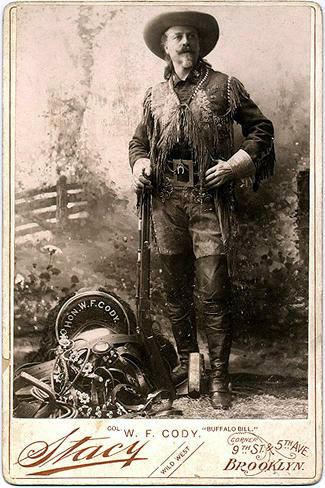 He preferred the company of actresses, and married Katherine Clemmons, a protégée of Buffalo Bill Cody, in 1898. They were divorced in 1909; Gould went to live in England some years later, where he became known as an international yachtsman and sportsman. He married again in 1937 and divorced ten years later. Odette Tyler: Odette Tyler (1869-1936) was an actress and comedienne; in 1890 she was with Charles Frohman's company, appearing with the young Maude Adams. Later in life she played with Buster Keaton in his first starring role, in The Saphead (1921). the Casino: The Casino Theatre, at 39th Street and Broadway in New York, was built especially as a venue for musical theater by Rudolph Aronson; it became noted for the beauty of its chorus girls. In addition, the building contained restaurants and a roof garden as well as a casino. After a fire in 1905, the original 800-seat theatre was enlarged with additional balconies to seat 1300. Charley's Aunt: This farce by Brandon Thomas (d. 1914) opened in London in 1892, and in New York October 2, 1893. Two Oxford undergraduates in love need a chaperone for an intimate lunch with their sweethearts. When Charley's aunt from Brazil is delayed, they press a fellow undergraduate into the role, complicated when the real aunt arrives unexpectedly. The play has been a favorite, especially for amateur and small professional productions ever since it was written. It was made into a silent film in 1925 starring Syd Chaplin; an early talkie in 1930, starring Charles Ruggles; another film in 1941 starring Jack Benny and Kay Francis; a musical, "Where's Charley" starring Ray Bolger, and a Playhouse 90 television production. A.W. Pinero: Playwright Arthur Wing Pinero (1855-1934) was born in London, of Portuguese descent. He studied law before joining a theater troupe in Edinburgh, coming to London after two years. He spent five years acting with Henry Irving's company, writing farces and curtain raisers whose success led him to give up acting. His first major success was with a farce, The Magistrate (1885), but he wanted to write more realistic drama. Following the lead of Ibsen and Shaw, Pinero wrote The Second Mrs. Tanqueray (1893) his best-known work; later successes include The Notorious Mrs. Ebbsmith (1895), Trelawny of the Wells (1898), The Gay Lord Quex (1899). Pinero was knighted in 1909, and though he continued to write, his popularity began to decline. W. S. Gilbert: W. S. (William Schwenck) Gilbert (1836-1911) was born in London, but spent much of his youth abroad. After trying careers in government and the law, he turned his comic talents to journalism. His first play was produced in 1863, and over the next decade he wrote librettos for many burlesques and operettas, as well as farces, adaptations of French plays and of novels for the stage. His first collaboration with composer Arthur Sullivan was Thespis (1871), followed by the more successful Trial by Jury (1875). Gilbert's witty, satirical librettos and Sullivan's witty, infectious music made for a series of international hits: H.M.S. Pinafore (1878), The Pirates of Penzance (1880), Patience (1881), Iolanthe (1882), Princess Ida (1884), The Mikado (1885), Ruddigore (1887), The Yeomen of the Guard (1888), and The Gondoliers (1889), all still performed. Both men grew tired of what had become a formula, and their last collaborations, Utopia, Limited (1893) and The Grand Duke (1896), were less successful. Gilbert went into retirement, where he continued to write in different veins: his last play, The Hooligan (1911), was a short grim study of a condemned man. He was knighted in 1907.Image available at the New York Public Library Digital Gallery. Louie Massen: Actor Louis Massen (c. 1858-1925) was noted for his good looks in the 1880s, when he played with the Madison Square Theatre stock company, and in the 1890s, when he was a member of E. S. Willard's company and one of Frohman's companies. He married actress Marie Burroughs; later he became a director. Chicago Herald: The Chicago Herald was established in 1881 (a short-lived newspaper of the 1850s bore the same name); it was merged with the Examiner in 1918, operating under that name until 1939, when it was bought by Hearst's Chicago American. 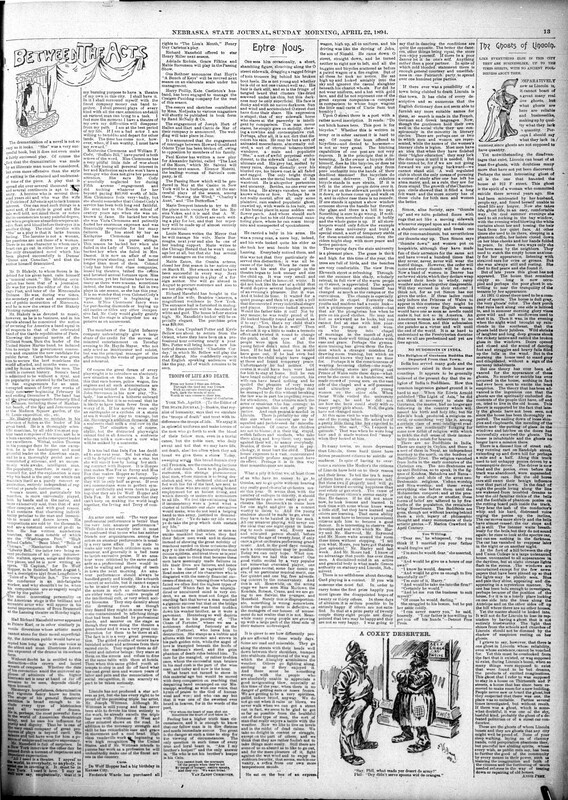 In 1953 the Herald name disappeared when the Herald-American became simply the American once more.In 1891, the Herald mounted an expedition to San Salvador to place a monument on the site of the landing of Christopher Columbus in 1492—part of the lead-up to the great 1893 Chicago Columbian Exposition. The monument's site was criticized even then as being wrong. Mable Eaton, the Omaha actress. 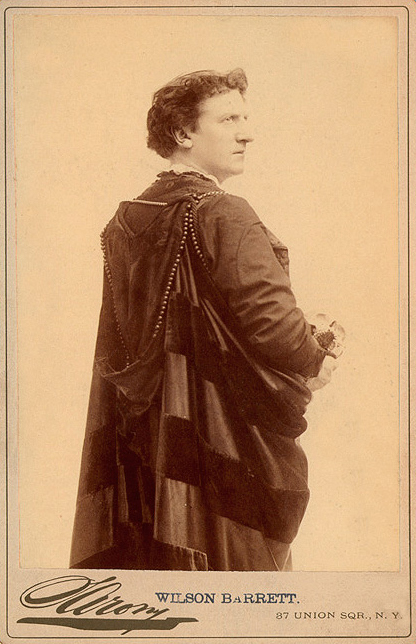 : Mabel Eaton (d. 1916) appeared in three Broadway plays between 1892, when she had a role in Diplomacy, a play starring Charles and Rose Coghlan, and 1900, when she played in Women and Wine. She also appeared in a short silent film, The Fable of the Good Fairy (1914), written by George Ade. Beatrice Cameron: Born Susan Hegeman, actress Beatrice Cameron (1868-1940) was reported to have made her start on the stage when she volunteered to take over the part of a girl who had fallen ill in one of Mrs. Cora Potter's amateur productions. She was asked to join the Madison Square Theatre company, and joined Richard Mansfield's company, playing in one of his first big hits, Prince Karl (1886). In 1889 she played Nora in Mansfield's production of Ibsen's A Doll's House, the first English-language Broadway production. She became Mansfield's leading lady, and so created many of the roles of Shaw heroines on the American stage. Cameron and Mansfield were married in 1892. Their son, George Gibbs Mansfield (1898-1918) died in an army training camp during World War I. Cameron retired from the stage about 1900. Kyrle Bellew: Harold Kyrle Bellew (1855-1911) was born in Lancashire, the son of a clergyman. He emigrated to Australia at a young age, where he worked as a miner and a reporter before making his stage debut there in 1874. He returned to England in 1875, acting in various companies, including Henry Irving's. He made his American debut in 1885, but returned to England in 1887, where he and Cora Brown Potter formed their partnership. They toured America, Australia, and the Far East until the dissolution of their partnership in 1898. In 1899 Bellew returned to Australia and reportedly made a fortune from gold-mining. He returned to the U.S. in 1901 and resumed his career on the stage, as well as starring in a short film, A Gentleman of France (1905). 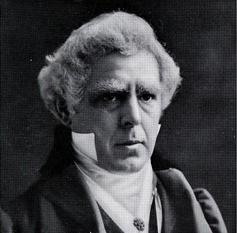 His son was also an actor, Cosmo Kyrle Bellew. The Orient, where they have been on a professional tour covering nearly a year. : Mrs. Potter and Kyrle Bellew toured Australia, India, and other parts of the British Empire in the eastern hemisphere in 1893-94. Charlotte Corday: Charlotte Corday, a play by Kyrle Bellew, opened in New York on March 25, 1895, though Bellew and his co-star, Cora Brown Potter, had been playing it on their tours for several years. The play depicts the early days of the French Revolution and the events leading up to the assassination of Jean-Paul Marat (1743-1793), the radical politician and journalist, played by Bellew, by Charlotte Corday (1768-1793), a moderate republican (Girondin), played by Mrs. Potter. Corday, a convent-educated woman of an aristocratic family, came to Paris to ask Marat's protection for herself and fellow Girondins. Marat granted Corday an interview while he was in his bath; when he refused exert his influence in favor of the Girondins, she took the knife she had concealed in her dress and stabbed him. She was promptly arrested, tried, and guillotined. Marat: Jean-Paul Marat (1743-1793) was born in Switzerland, but made his home in France, where he became a distinguished physician; he became the personal physician to the younger brother of Louis XVI. He became known as a scientist, with interests in electricity and light. Influenced by critics of the French monarchy, as late as 1789, he still believed that France's problems could be solved with the aid of the monarchy. Later that year, he published a newspaper advocating radical democratic measures, and contended that it would be necessary to execute hundreds of aristocrats in order to save the lives of millions of ordinary Frenchmen. The moderate Girondins had him tried, but he was acquitted on April 24, 1793, making him a symbolic leader of the radical Montagnards; the acquittal also marked the loss of Girondin power. Forced to take frequent baths because of a skin disease, he gave an interview to a young Girondin supporter, Charlotte Corday, who stabbed him to death. Marat's death made him a martyr of the Revolution. Artist and fellow Jacobin Jacques-Louis David painted one of his greatest pictures, "The Death of Marat" only a few days after Marat's death.